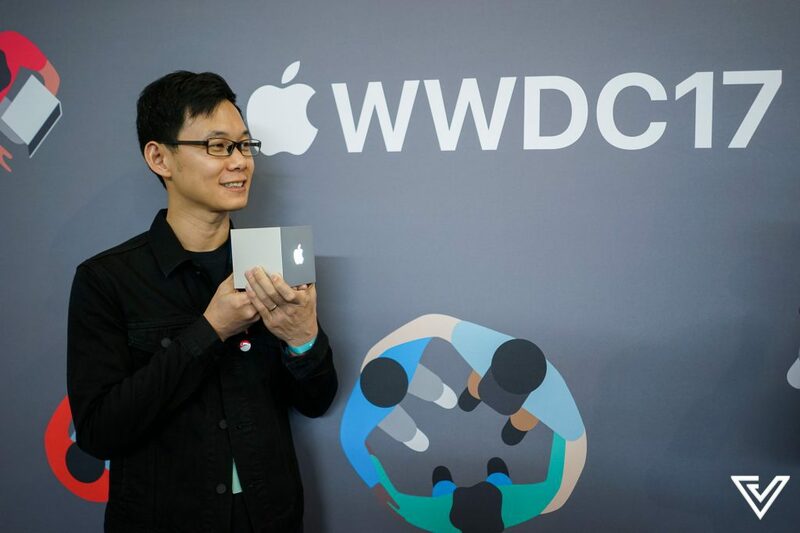 Last month, Lin Junjie, 31, and Muh Hon Cheng, 36, made Singapore proud as they were crowned this year’s winners of the Apple Design Awards (ADA). For the first time in the past 20 years, no other Singaporean has made it to the list; and this also marks the first time that a winner hails from Southeast Asia. For those unacquainted, tech giant Apple hands out the Awards as part of the annual Worldwide Developers Conference, and it aims to celebrate the talent, artistry and creativity of developers who set the standard for ideal app design. The outstanding app that bestowed them with this recognition is Elk, which is essentially a travel currency converter app. Launched in April this year, Elk was initially conceived as an Apple Watch app and the duo only launched a version for the iPhone much later in the development process. 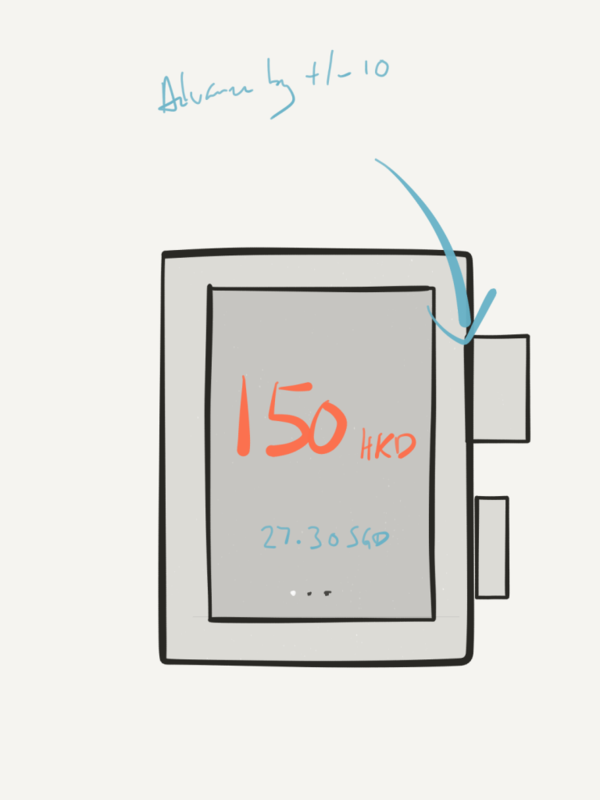 “Elk is our attempt to revisit making apps for the Apple Watch. And for all of the apps we’ve made so far, it solves a personal problem for us,” said Junjie. So what was the inspiration behind this app? A S$13 coffee in Hong Kong. And only after he made payment did he started thinking about how much that cup of coffee really cost him. That cup of coffee had such a profound impact on him, but it also served as a blessing in disguise as it prompted him to develop an app that solves this pain point. 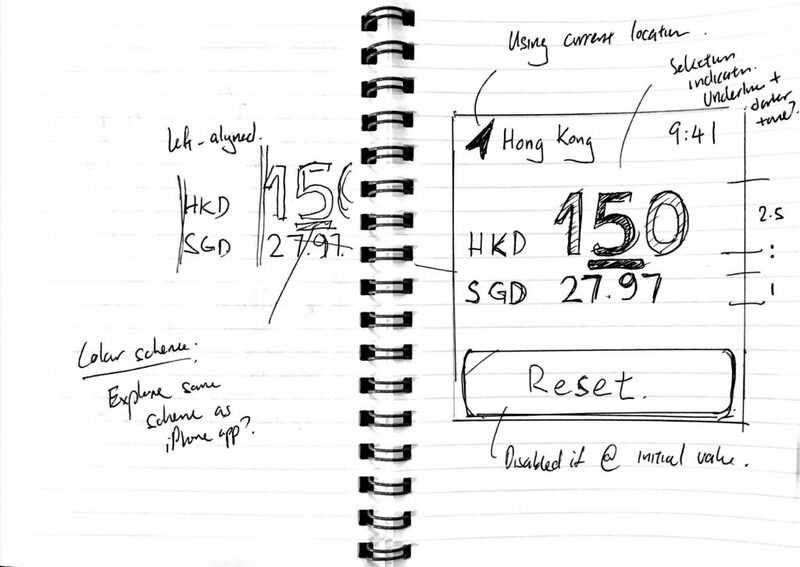 “I was determined to find a way to quickly figure out how much something cost in my own currency when I’m travelling – without digging into my pocket, unlocking my phone, launching an app, or punching in numbers,” said Junjie. Five months, three trips, 3,777 Slack messages, and many iterations later, the two of them finally launched an app that satisfied them. And two months after its release, the duo bagged the Awards – this is no mean feat! So how did they feel about this prestigious win? The Award was very unexpected to them in more ways than one. Being the first in SEA to clinch the award was undoubtedly a huge honour for them, but they also felt that this year’s ADA is quite different from the past – “there’s no glitzy award ceremony, and no stage to collect the award from”. The realisation that they won the Apple Designs Award only sank in much later. “It’s surreal that a modest team of two, working out of a study room in a HDB flat, can be recognised at the highest level alongside top developers and designers from US and Europe,” said Junjie. Here’s the fascinating bit though: Neither of them have any background in IT or coding. Hon Cheng has a Biology background, while Junjie did Communications, specialising in Journalism and Media at Nanyang Technological University (NTU). According to Junjie, he has always loved to make things since he was young. When he was in Primary 5, a classmate told him that he could make his own computer games, which piqued his interest. 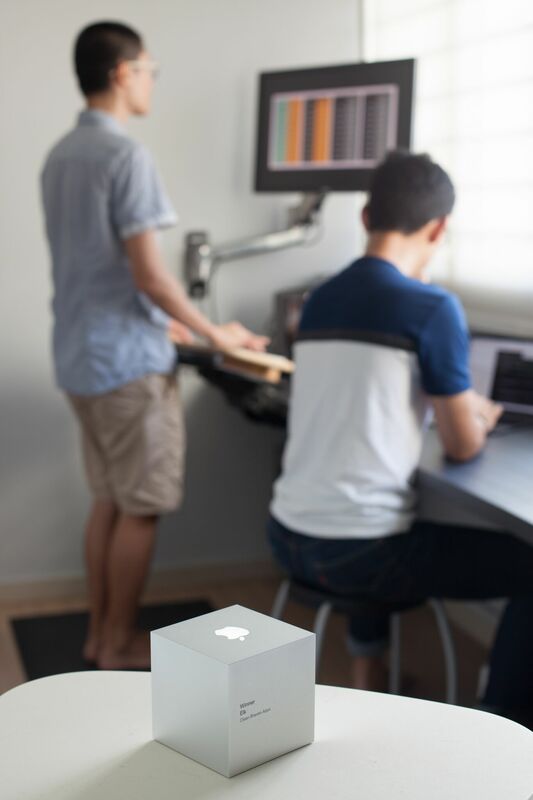 After he graduated from NTU, Apple released the software development kit for the iPhone and he started exploring it further to make his own apps for the iOS platform. The two first met seven years ago at a local Apple event, where they were the guest speakers talking about the technologies they’ve adopted in their own apps. Despite the lack of formal training, both of them are app developers in their own rights. Hon Cheng has made some of the most popular apps in Singapore such as SG Buses and SG NextBus. 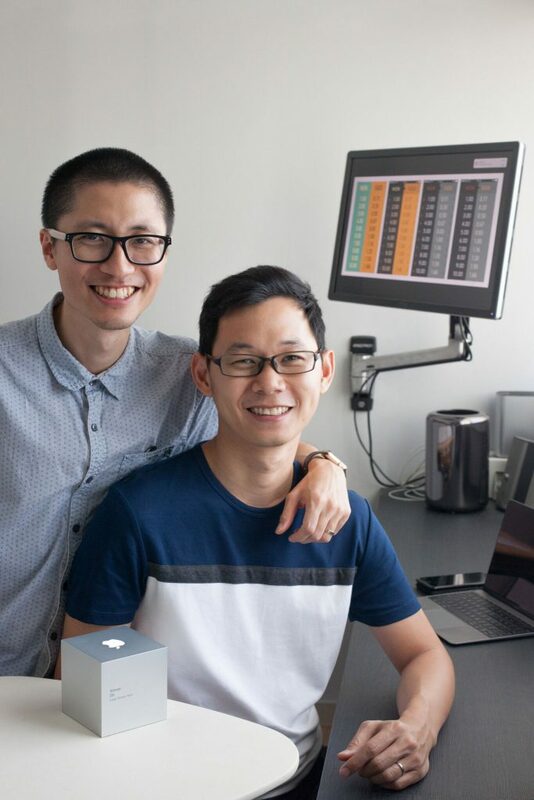 On the other hand, Junjie is the brains behind to-do and reminders app Due, which has been featured on Daring Fireball, a popular and influential blog on all things Apple. “Through that event, we managed to put a face to each other’s apps, but we only became close after many sessions of badminton and bubble tea drinks,” said Junjie. Playing on each other’s strengths, the two decided to come together to form a dream team developing apps. And that’s how Clean Shaven Apps came about. The two-man team was established in June 2012 and their first app, Dispatch, was launched only a year after the team’s inception. 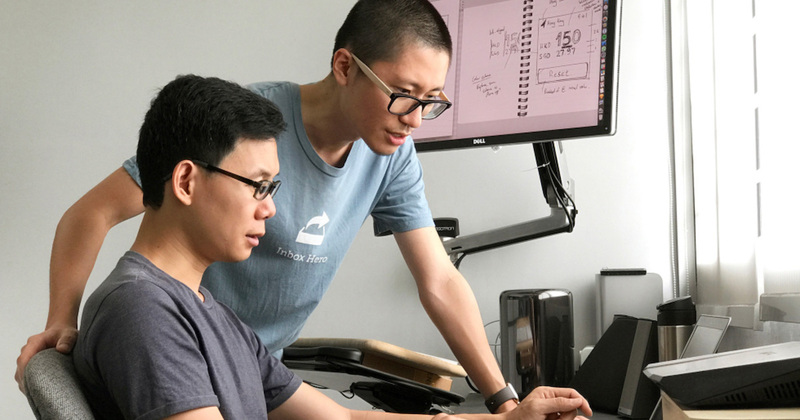 Both of them have clearly divided roles in the team – Junjie focuses on the user interaction (UX) of the apps, while Hon Cheng focuses on the animations and transitions. Junjie also prepares the marketing assets such as videos and write-ups. “Hon Cheng codes quickly, and he is able to materialise these ideas for us to test the feasibility of these designs. We iterate together on the app after that,” said Junjie. Over the years, the duo has developed six apps together, including Elk. According to Junjie, the apps that the pair develop all share a common thread: they aim to solve everyday problems. “We make the apps because we needed them – making a business out of it was somewhat accidental,” confessed Junjie. And this is exactly why they don’t feel the heat looking at the sea of apps out there. They believe that as long as the app is useful, it will have a higher tendency to stick around longer. What has changed so far after clinching the award? “Winning ADA gave us some international press coverage. Together with App Store feature, Elk gained more downloads and profits, but that seems short-lived and it has almost gone back to the initial level,” said Hon Cheng. However, marketing is tough for an independent app developer. With a limited budget, they really have no choice but to do everything themselves. He also confessed that being an app developer is not exactly the most financially viable career, especially when there’s an expectation of free apps all the time. The two of them are currently working out of a study room in a HDB flat. They meet at Junjie’s house once a week – that’s when they will spend time to discuss new ideas and make plans for upcoming projects. Then they work on the app remotely for the rest of the week, occasionally discussing and sharing files online. They don’t mind not having a ‘proper’ workspace though, and feel that this arrangement is very convenient and flexible for them. “We do not think a [dedicated] workspace is important unless the company grows bigger than just both of us, and there is no plan for that at the moment,” said Hon Cheng. At the moment, Clean Shaven is focused on improving Elk, but they are also always thinking of new app ideas. “The App Store has gotten very crowded since the days Hon Cheng and I started and it is getting harder to get noticed in the sea of apps,” said Junjie.